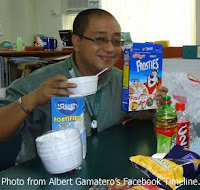 Apart from heeding a desire to teach, Albert made the decision to come home to the Philippines because of two other reasons. The first one was because he was a loving and devoted son. He also wanted to pursue a doctoral degree, something that would have been difficult had he done so in an American university because it would require him to be in school full-time. Returning to the Philippines, naturally, came at a price. “No more Banana Republic, Ralph Lauren, expensive travels,” he laughs. Despite the abrupt change in standards of living, Albert simply slipped back in and adjusted to life back in the country like a chameleon. “Paradigm shift and attitude,” he says simply. It also helped that he came home for a vacation every year that he was based in the States. Albert also finally fulfilled his desire to teach in the school where he graduated from; albeit the school had become barely recognisable from the one he left way back in 1988. He was Assistant Professor in the College of Business, Economics, Accountancy and Management; and volunteered to teach in the night high school for the financially handicapped. He was also part-time professor of the school’s Master in Management Technology program and a thesis adviser. While teaching, he continued to be involved in the corporate world, doing consultancies for LIMCOMA and Yazaki Torres, Inc. His vast corporate experience, Albert says, enables him to become a better teacher. 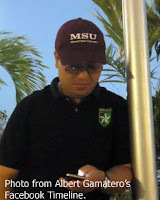 Indeed, Albert’s classes are enjoyed by college and graduate school students alike. “I have a lot of stories to tell,” he says. “I am able to draw from my past experiences and my students love hearing those stories – they learn from them. Actually, we all learn from them. “I also love theatre,” he goes on. “I have this frustration of acting in theatre. So, whenever I get the opportunity, I treat myself to a nice play. It’s weird, I know; but I would imagine myself being up on stage, acting. I have seen the following: Miss Saigon, The Flower Drum Song, Les Miserables, The Phantom of the Opera, etc. He also loves dining and hanging out with family and friends; but is just as fine staying at home cooking. He thinks of himself as being compassionate and sincere; and that he has a tendency to be too trusting. In fact, he says that has been placed in compromising positions on a few occasions just because he could not say no to friends. 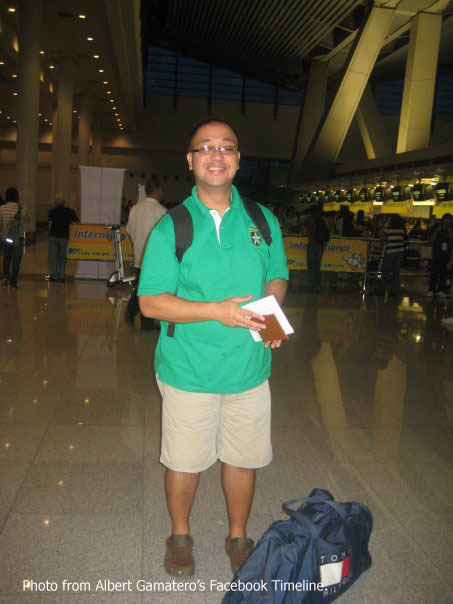 Albert has travelled extensively around the United States; and has also been to Hong Kong, Macau, Chinese-Taipei and Thailand. He thinks travel broadens a person’s perspective and has made him more appreciative of other cultures and life in general. 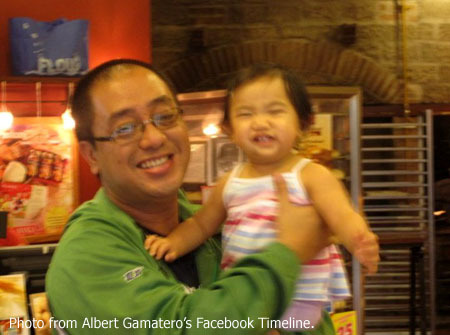 A trip to Spain and a tour around the Philippines is part of Albert’s bucket list. After a short hesitation, Albert says that he considers himself a ‘made’ man. Not an ounce of braggadocio in this, of course; and indeed, this has nothing to do at all with financial success. If fact, Albert confesses that he wishes he does a better job of managing his personal finances. He is just into early middle age; yet, Albert feels that he has reached many pinnacles that have brought him personal satisfaction that many will need several lifetimes to achieve. It is a satisfaction, perhaps, that comes from an early realisation that the highest type of sell-fulfilment has nothing to do with money whatsoever. Instead, it has everything to do with being happy with one’s self and serving humankind. To his peers, he says, “Be proud of our heritage. Magaling and Pinoy. We just need a break and a chance in life. Do not hesitate to help. By helping others, we realise how blessed we are. We may not know it, but the little things that we do for others could mean to them and could be the way for their lives to change for the better.